Vilnius - Moscow trains. Purchase Lithuania Moscow train tickets online safely and securely with RussianRail. 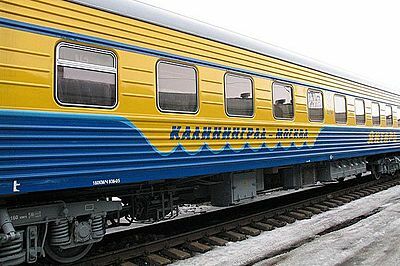 Train #79/80 is an express train operating on St. Petersburg - Kaliningrad route. It also makes a short stop in Vilnius. The train is managed by Russian Railways. There are 2nd class and 3rd class carriages in this train. St. Petersburg - Kaliningrad train covers 1327 km and goes through the territory of 3 countries: Russia, Belarus and Lithuania. 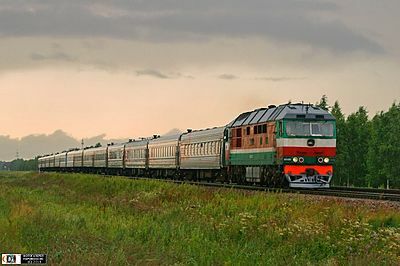 Train #29/30 'Yantar' is a fast train with increased levels of service called a "firmenny" train. It operates daily on Moscow to Kaliningrad route. Yantar train covers 1285 km and crosses 3 countries: Russia, Belarus and Lithuania. 1st, 2nd and 3rd class carriages are available on this train. The train also has a restaurant carriage.